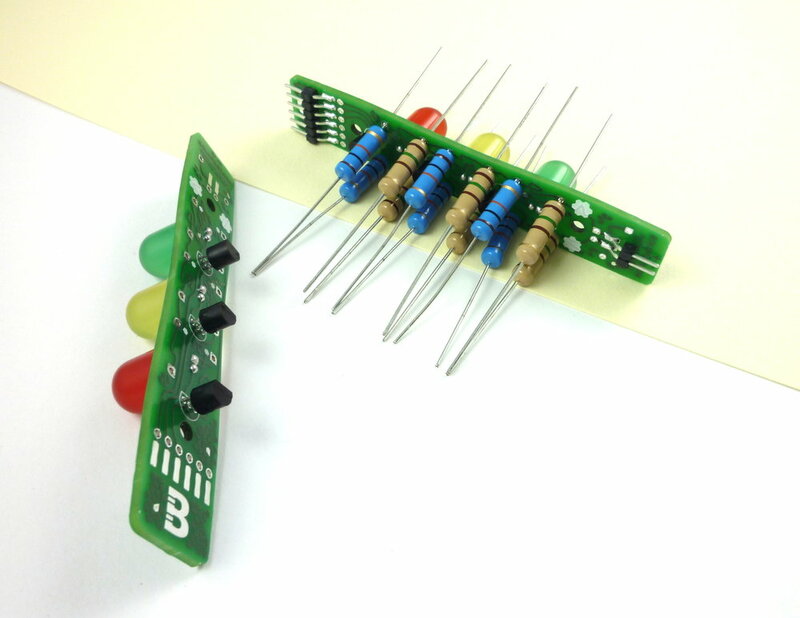 In the 1950s and 1960s inventive engineers saved space by using the 'cordwood' assembly, where components were sandwiched in between two circuits boards. This construction became less useful with reduced component sizes, PCB manufacturing advancements, more compact integration, and surface mount technology, but is still a lovely piece of history. Combining both old and new, the Cordwood Puzzle is a tribute to this construction and to the engineers who came up with it. Unfortunately(! ), all the comprehensive assembly guides were mysteriously missing from the kits. Cordwood Puzzle 1 was project #3 of the Boldport Club. Challenge yourself by assembling the kit without further instruction. Before you do that, however, note the following: When connecting to a board, make sure that the I/Os can tolerate the voltage levels that are applied to the Cordwood! Also, make sure that you do not short power and ground!